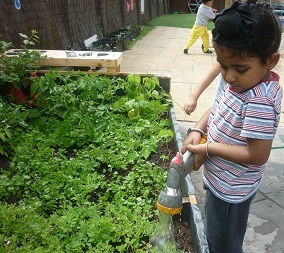 Nishkam Nursery is situated on a busy main road (Soho Road) in Handsworth which leads into Birmingham city centre. Previously Handsworth was one of the most deprived areas within Birmingham though now is being regenerated. Nishkam Nursery provides multi-agency, faith-based childcare services for families and children aged 6 weeks to 5 years from 8am to 6pm 50 weeks of the year. 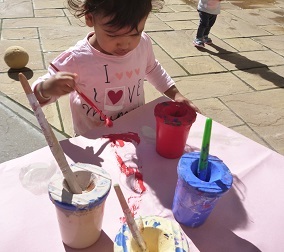 The Nursery also holds before and after-school clubs for children up to the age of 8 years. 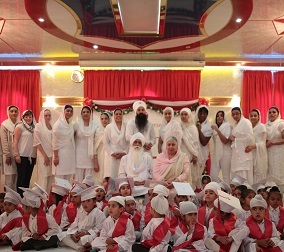 The Nursery is surrounded by a primary school, a secondary school, 2 Churches, a Gurdwara, some residential buildings, grocery shops and beautiful greenery. 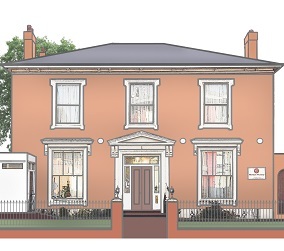 The Nursery is a grade 2 listed building which was previously owned by Birmingham City Council as a Community Day Nursery. Nishkam Nursery is registered for 71 children, comprising of Baby Rooms, Toddler Room, Pre-Schools and a secure outdoor play area for all children. Early Years Education and care are the most important moments in every child’s life. These are the foundations on which every child’s future experience and learning are built upon. 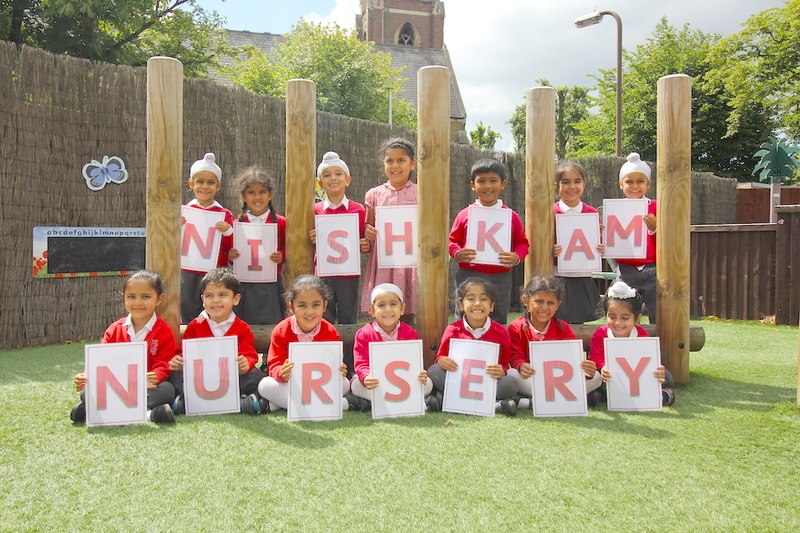 At the Nishkam Nursery, we aim to ensure that all children from birth up to five years have access to a high standard of play, spiritual development, education and care. Stimulation activities, opportunities and experiences will be provided for the child according to the age and appropriateness. All staff employed are qualified and dedicated in providing a spiritual nurturing environment as well as quality early years education and care. Ratios are met in accordance with the EYFS requirements and all staff undergo enhanced DBS clearances and robust recruitment processes. Nishkam Nursery is a grade 2 listed building which has a number of large spacious rooms used for children to explore and learn in. Each room has been adapted to meet the individual needs of the children. Rooms are equipped with a variety of resources to which children have open access to. All rooms have up-to-date technology, allowing children to explore and learn through activities. We continue to enhance the environment through maintaining the building and updating resources. 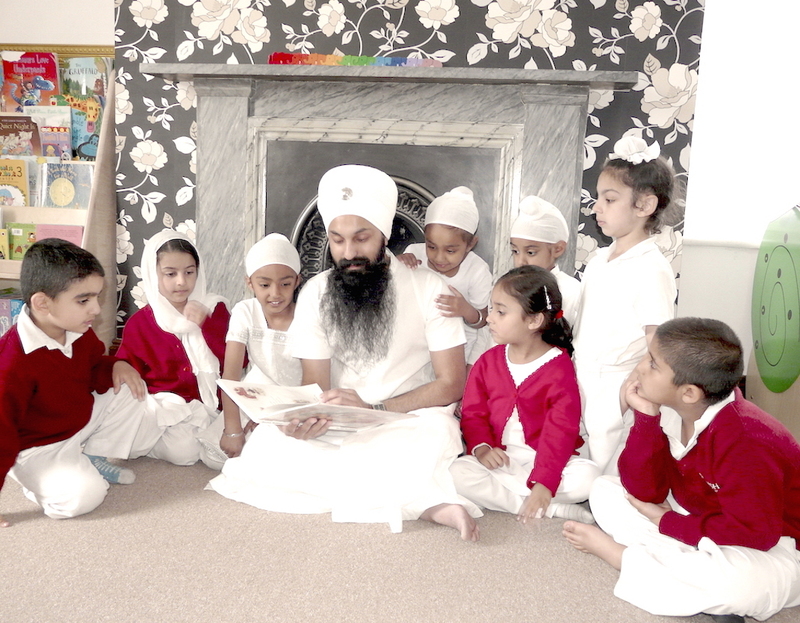 At Nishkam Nursery, our aim is to provide an extensive, high standard of quality education, care and spiritual development that will raise each individual child’s achievement. Within the nursery, the needs of all children will be addressed individually, taking into account colour, race, disability, learning difficulty, cultural and religious persuasions of each person that attends the nursery. Derogatory remarks made reference to age, disability, gender, culture, race, disability or learning difficulties and religious beliefs will be challenged in a positive and non aggressive manner. Our staff team have a commitment, in providing a happy, safe and healthy learning environment to enable children to develop at their own pace and reach their full potential. The staff at Nishkam Nursery are exceptional. They have really helped our child to settle well into the nursery and we get to see how they are progressing in their development. Many thanks to all of the staff. There has not been a moment where my child has not enjoyed being in nursery. She has become a strong, well-grounded and confident girl. I believe the foundation will set her up for life. She has made many friends who will definitely be life-long. Staff go over and beyond to making sure my child is happy. My daughter knows every member of staff and does not hesitate to go to anyone. She goes running to nursery as if she is going home. The staff are all familiar who make every parent feel like they are family. The are welcoming, vigilant, friendly and listen attentively. Thank you for making our child's experience so positive.